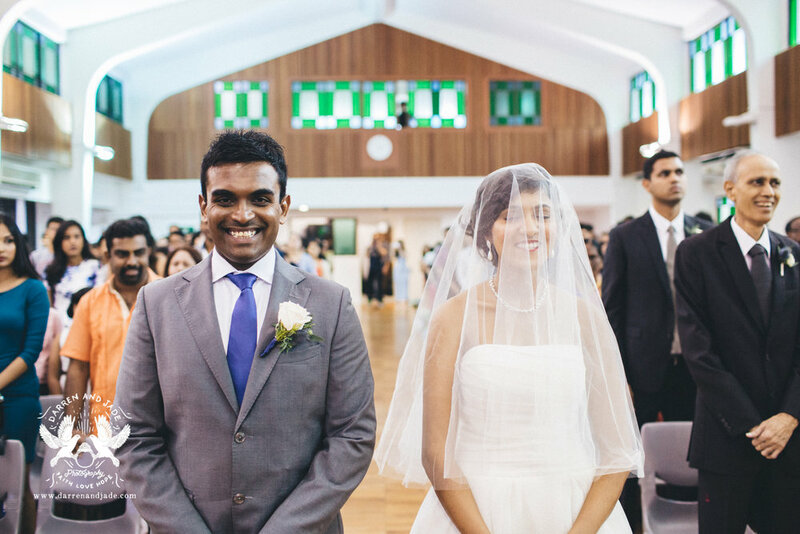 Amitha and Kumuthan's wedding was one to remember. After a 2-day engagement photo session, it was finally time for a 2-day wedding! 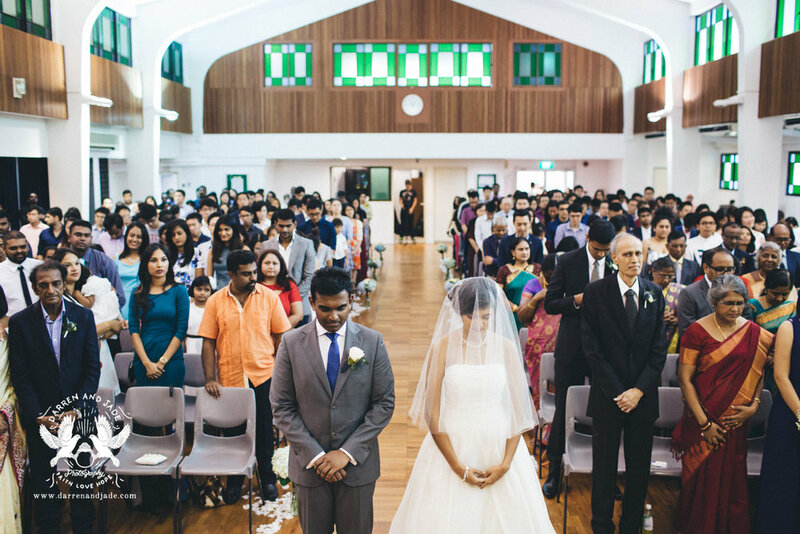 We started off the first day with a beautiful ceremony at St. John's Chapel and moved on to Fort Canning Hotel for the second day for a most extravagant dinner, with Amitha resplendent in her pink and gold sari, and Kumuthan looking amazing in his blue and gold outfit, along with, as he said, his 'gold Aladdin shoes'! 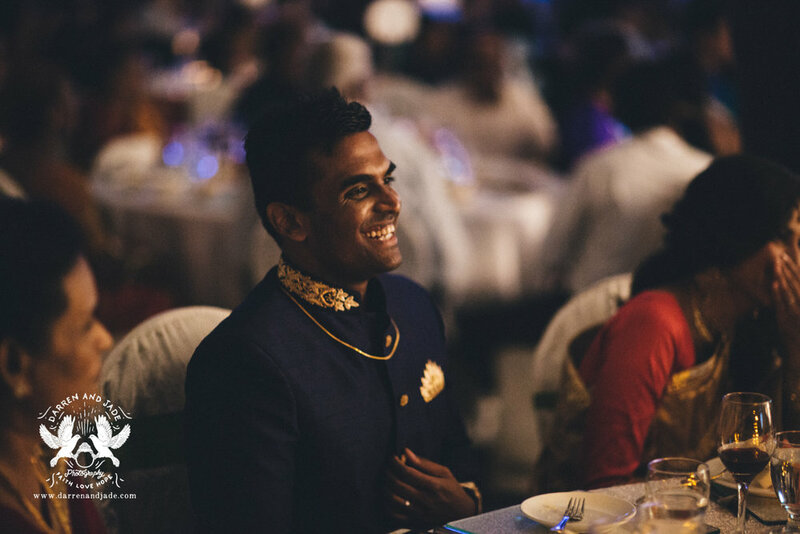 Throughout both days Amitha and Kumuthan were so relaxed and fun (as you'll see when you get to the picture with the exchanging of the rings) that we honestly felt like we were just hanging out with 2 good friends the entire time! We are so grateful to them for entrusting us with their wedding pictures. We were so honoured to be part of their wedding journey but most of all blessed to have met a couple of really authentic people that we are proud to call friends.